Ever since human society began there have been crimes, and even in the realm of the fantastic, the mob makes its presence felt. From gods targeting hits on their competition, to monstrous goons extorting tribute from villagers, to the everyday activities of members of the thieves' guild, the mob and magic have always been closely spell-linked. 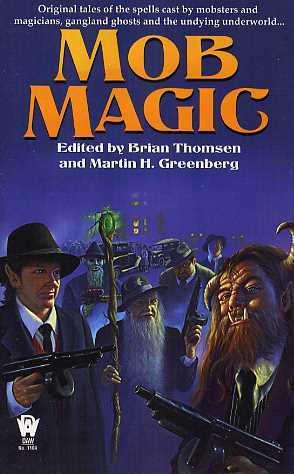 Now Brian Thomsen and Martin H. Greenberg have charged their team of special investigators to bring to light the exploits of the criminal element in the world of the fantastic...old gods conspiring against the new kid who is muscling in on their terrirtory...gangland bosses extracting revenge from beyond the grave...unlucky thieves and enchanted underbosses...all of their rap sheets will be revealed.